Body Optimalization: A combination of Eastern and Western philosophies of healing. A typical session includes: history taking, postural analysis, massage, and client education. or with a full hour session. Great for digestion problems and constipation. go to workshops tab or click here. After 10 years of teaching Body Opt., I’ve written the Manual/Book based on student’s feedback. It’s a 33 page colored Manual/Book, which includes The Body Opt. Principles of Healing, technique used with each of the moves, philosophy, theory & laws for their application. 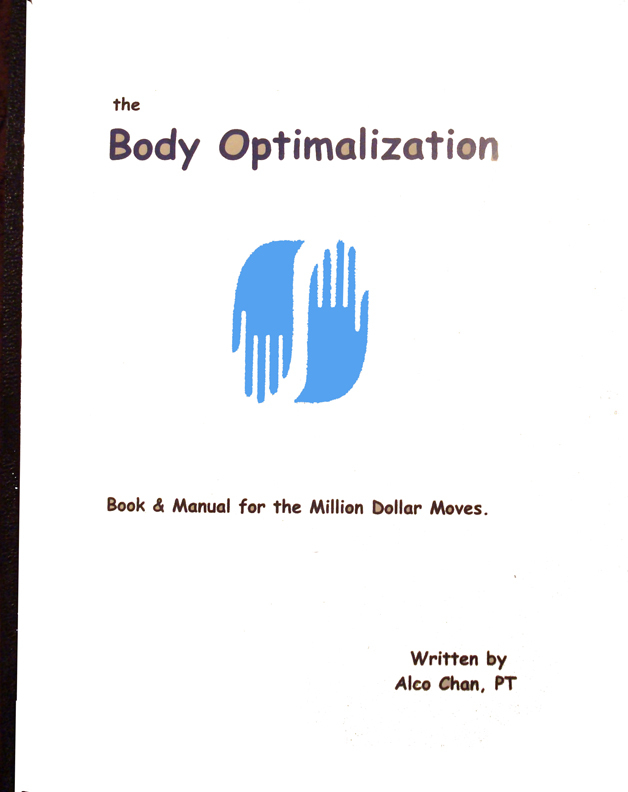 The Book is $30 if you are a former Body Optimalization student, and $50 otherwise. However, if you’ve not taken Body Opt. and purchase the Book, you may consider your purchase a deposit for any up coming Body Opt. classes! For credit card. We have Square. Email or call in you CC#, Exp.Date and CV #. the BIG BOOK of BO.